Convert JPG to ICO fast and get neat output. 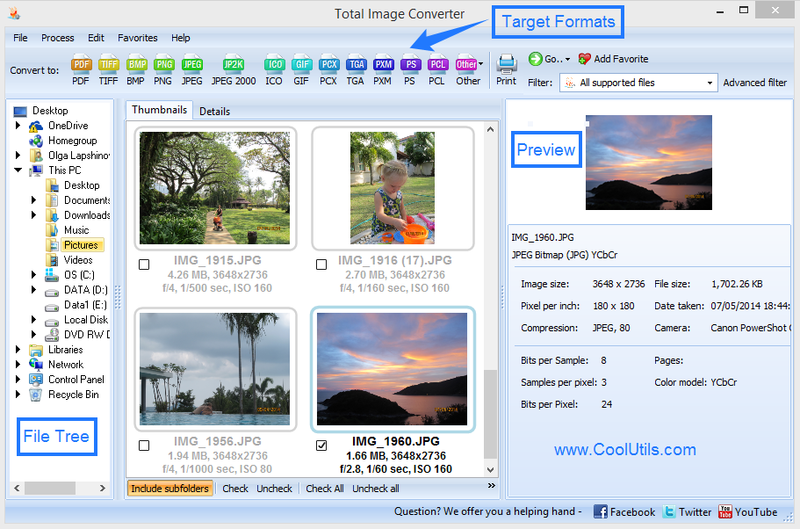 You are here: CoolUtils > Total Image Converter > Convert JPG to ICO fast and get neat output. 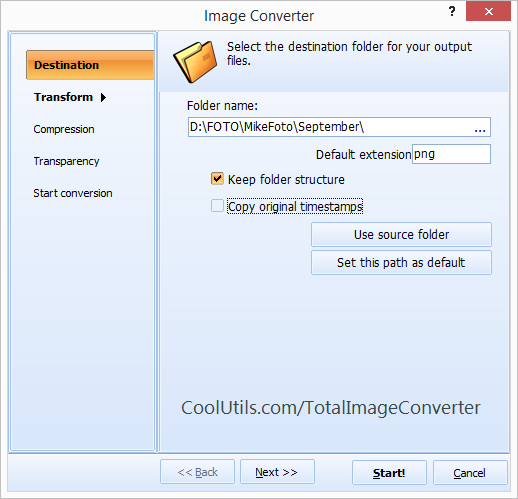 Total Image Converter is known as part of CoolUtils converter lineup, which has gained popularity soon after it was released. Versatile and user-friendly, it supports a broad selection of image formats and converts JPG images to ICO formats. 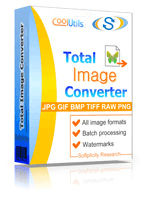 This allows Total Image Converter owners to create icons. With this program at hand, you can not only make a JPG into an icon. You can rotate and crop your output images and create icons of different sizes. This JPG ICO converter features batch option, which allows you to turn all your JPG images into icons at once. Command line option will help you manage this program without using the interface. Thanks to the program's ability to seamlessly integrate into Windows, you can launch it via the right-click menu. To do that, right-click on a JPG file and select Convert to. Open the interface, scroll the folder tree and click on the folder, which contains JPG files. The files will be aligned in the right-hand panel. Specify images, which you need to convert by ticking them. To process one or a few JPGs, tick them optionally. To process the whole batch, press Check all. Set destination for your ICO files. In order to crop and/or rotate your images, select Transform and adjust parameters. Choose your preferred icon size out of a list of options. Set a color palette for your icons. Apply your preferred transparency options to your images. Open the Watermark option and add comments, logos and frames to your icons. Open Start Conversion to check the settings once again and readjust them if necessary. Press Start to launch conversion. This JPG ICO converter keeps pace with the time. We keep in touch with all our users and are ready to receive feedback and use your ideas to improve our product. If you would like to see how it works without buying it, download the 30-day version, which is available for free. How to convert JPG to BMP images? Convert JPG to JPEG2000 and get a neat output.